Because of the variety of potential causes for water retention, there is no single therapy that can be used to treat each case. However, for cases of water retention caused by high levels of sodium in the body, increasing dietary potassium can be an effective treatment. Water retention, also known as edema, can cause parts of the body to swell. This is due to fluid that accumulates between cells and in the circulatory system. Water retention is most common in the legs, feet and ankles, but it can also occur in the hands and face. According to University of Maryland Medical Center, causes for edema can include certain medications; sitting or standing for long periods; pregnancy; high temperatures; kidney, heart or liver disease; and eating salty foods. Salty foods, which are high in sodium, may be one of the more common causes of edema. The American Heart Association notes that 98 percent of all Americans consume double the recommended amount of sodium in each day. Potassium can be useful in counterbalancing the effects sodium has on the body. When you consume more potassium, sodium is excreted through urine. Potassium, therefore, can be useful in reducing water retention caused by excessive sodium intake. Fruits and vegetables, in general, are good sources of potassium. 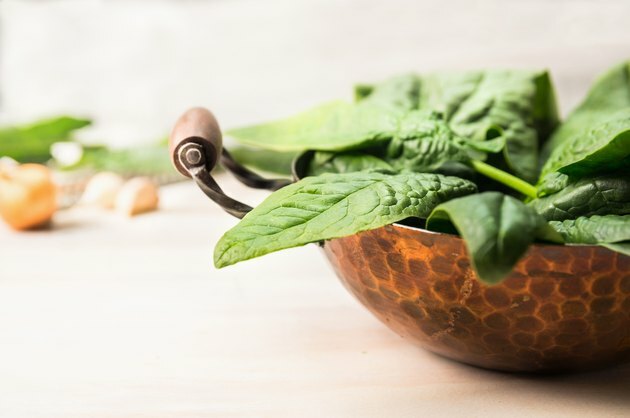 Potassium-rich foods include sweet potatoes, lima beans, bananas, mushrooms, spinach, potatoes, greens, tomatoes, apricots, prunes, grapefruit, halibut, tuna, low-fat yogurt and molasses. Although potassium can be useful for counteracting the effects of sodium, that doesn't mean you are free to splurge on sodium-rich foods. You should still try to avoid processed and packaged foods as much as possible, as they make up over 75 percent of sodium that Americans consume. Although potassium can be an effective tool in reducing water retention, having too much potassium in the blood can also be dangerous. Consuming potassium through dietary sources is generally safe; however, you should check with your doctor before using potassium supplements. University of Maryland Medical Center notes that potassium supplements can interact with medications, and people with kidney disease should avoid them.